Residents and road crews alike spent much of the bitterly cold day, Sunday, Jan. 20, digging out from the mess left behind by a winter storm which rolled through over the weekend. 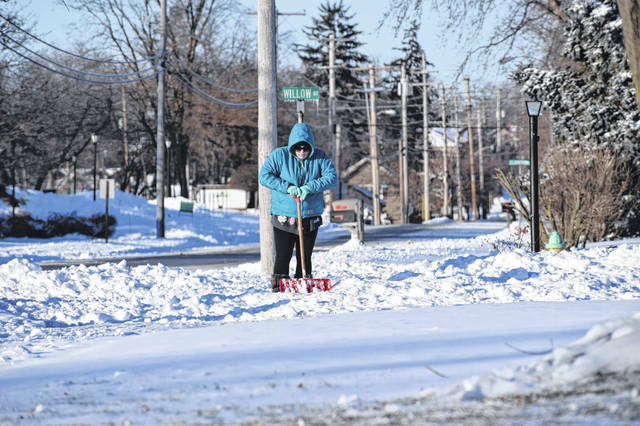 PREBLE COUNTY — Rain, ice, and eventually snow and high winds hit the area Saturday into Sunday, Jan. 19-20, and the stormed dubbed “Winter Storm Harper” left residents and businesses dealing with treacherous travel conditions. 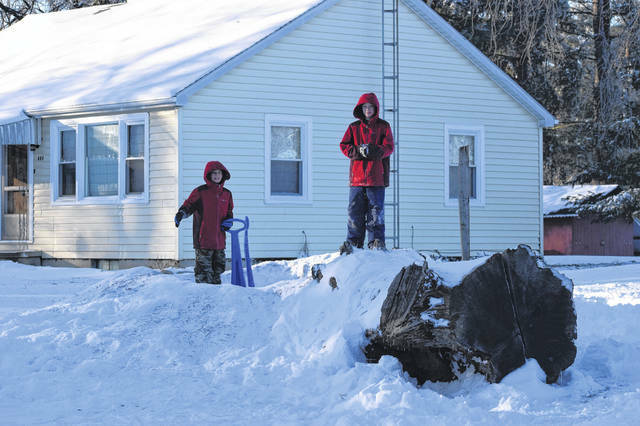 Rain throughout the day on Saturday became icy as the evening wore on, and by 10:45 p.m. Preble County Sheriff Mike Simpson had increased what was a Level 1 snow emergency to Level 2. “Heavy snow and high winds are making travel extremely hazardous. Visibility is near zero in most areas,” Simpson reported. A Level 2 snow emergency means roadways are hazardous due to increasing amounts of snow on roadways. Only those who feel it is necessary to drive should be out on the roadways. People should contact their employer to see if they should report to work. “Obviously, if you are driving, use extreme caution,” Simpson said in a press release. 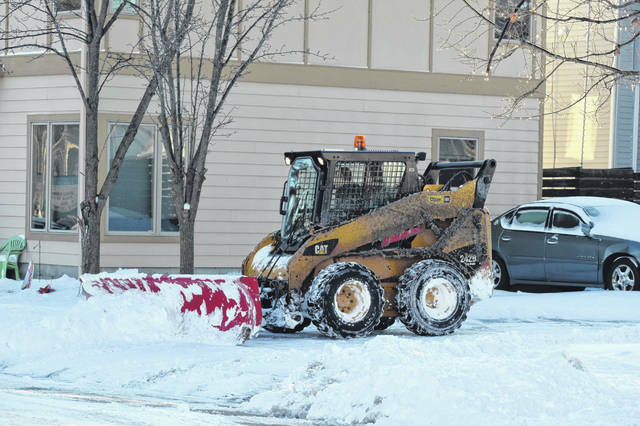 Additional snow and high winds continued throughout the night into Sunday morning, and at 2:45 a.m. Sunday morning, Simpson had issued a Level 3 snow emergency. A level three snow advisory means that all roadways are closed to non-emergency personnel, according to information provided by the Preble County Sheriff’s Office. “No one should be driving during this condition unless it is absolutely necessary, or a personal emergency exists. All employees should contact their employer to see if they should report to work. Anyone traveling on the roads may be subject themselves to arrest,” Simpson noted. 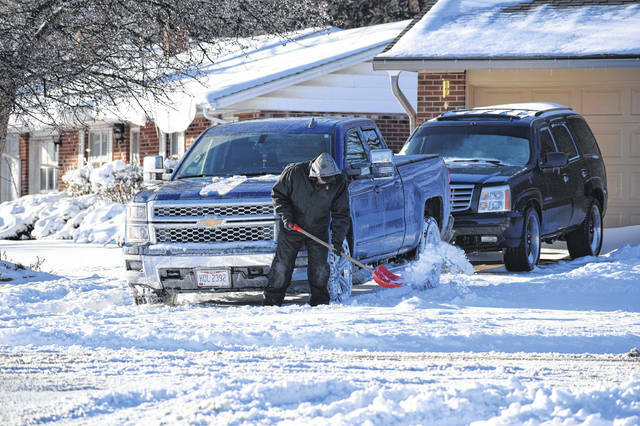 Numerous roads throughout Preble County were drifted shut and impassable. 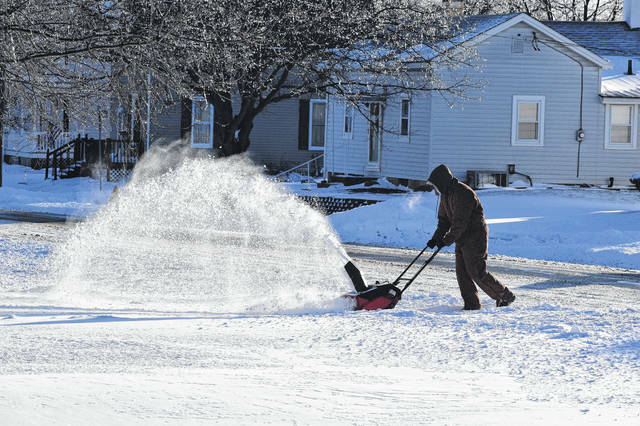 The Level 3 snow emergency for Preble County was canceled effective 4 p.m. Sunday afternoon. At press time, Monday, Jan. 21, a Level 1 snow emergency remained in effect for Preble County, meaning roadways continued to be snow-covered and hazardous. Temperatures below zero and wind chills dipping even lower were expected to continue throughout the day Monday, as a wind chill advisory was in effect until noon, according to the National Weather Service in Wilmington. A warm-up was expected on Tuesday, Jan. 22 and Wednesday, Jan. 23, with high temperatures near 40 on Wednesday, lows near 21, along with a 90 percent chance of rain mixing with snow during the day. On Thursday, forecasts call for a high near 28, and a low dropping again to single digits Thursday night, and highs in the teens on Friday, Jan. 25.